It is not only Aquinas' works that are gorbellied. According to popular tradition the philosopher himself was immensely fat, and anecdotes perpetuate the tradition: of holes cut in tables to make room for his belly, of monks unable to carry his dead body down the stairs from his sickroom, and so forth. In Proteus Stephen thinks of him as "Aquinas tunbelly." "Morose delectation" is a translation of Delectatio morosa, which Thornton identifies as one of three internal sins, consisting (according to the Catholic Encyclopedia) of "the pleasure taken in a sinful thought of imagination even without desiring it." He directs readers to three passages in the Summa Theologica. “Fiftyfive reasons” certainly does suggest Aquinas’ method of breaking large topics down into sub-topics, sub-sub-topics, and sub-sub-sub-topics, then (at the level of the specific question) proposing a statement of his belief, then anticipating the most powerful objection that might be advanced against that belief, then answering it with an “On the contrary,” and finally detailing numerous precise reasons for preferring his position. But it is also possible, Gifford notes, that the number 55 may have been suggested by a detail in Aristotle’s Metaphysics: the claim that beyond the mutable region of the earth and moon lie “fifty-five immutable celestial spheres,” perfectly “circular and changeless.” If so, Joyce is rather naturally associating Aquinas with the cosmological ideas of his master, Aristotle—a philosopher whom Joyce also read with great devotion, and whom Stephen invokes repeatedly in Nestor, Proteus, and Scylla and Charybdis. 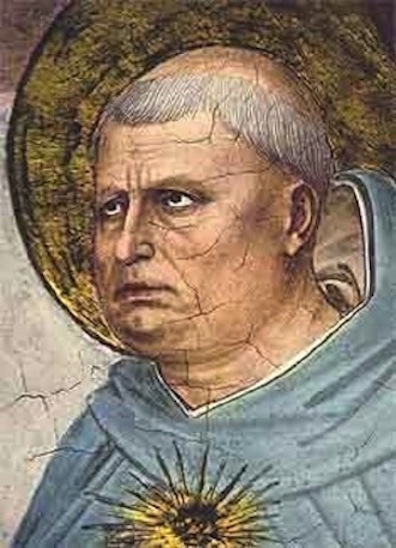 Saint Thomas Aquinas as painted in the fifteenth century by Fra Angelico. Source: Wikimedia Commons. 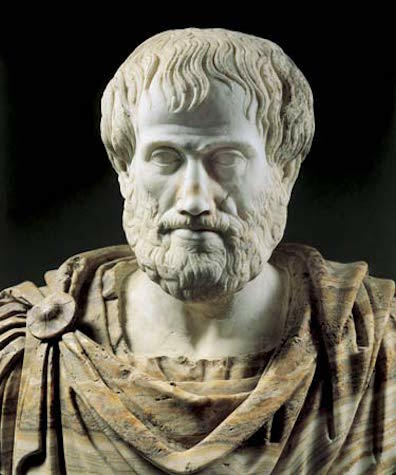 Roman marble copy of a Greek bronze bust of Aristotle made by Lysippus ca. 330 BC, held in the National Museum of Rome. The alabaster mantle was added later. Source: www.britannica.com.